A van packed with logs drives down National Road 7 in Tbong Khmum province last week. Dozens of vans like it ply the road daily. This van ended up next to the Daun Roath border gate in Memot district, where local villagers regularly sell the logs to buyers from Vietnam. Snuol District, Kratie province — In the dusty heart of town, where the main road from the Vietnamese border runs into National Road 7, a two-story billboard inveighs against the evils of illegal logging. Looming over the crossroads’ rickety food stalls and beat-up share taxis, the crude painting shows eager young men bulldozing virgin forest and chopping into thick, healthy tree trunks. Hovering above the scene in its own private bubble, a forlorn face peers down at them through the bars of a prison cell. Lawbreakers, the sign warns, could face five to 10 years in prison. Yet every day, from dawn to dusk, and sometimes later, vans and motorbikes packed and stacked with high-grade timber speed past the sign without a glance—and without a care. Arriving from the north, the vans veer west at the intersection toward border towns in neighboring Tbong Khmum province. The motorbikes take the slight turn southeast toward the local border gate at Tumpeang Sre, an easy 19 km from town. 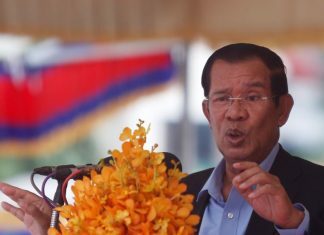 The government claims that it has all but wiped out the country’s booming illegal timber trade since Prime Minister Hun Sen put the head of the National Military Police, General Sao Sokha, in charge of a special task force in January to root it out, placing a total ban on timber exports to Vietnam in the process. But Vietnamese customs data shows that many millions of dollars worth of timber continues to pour through. 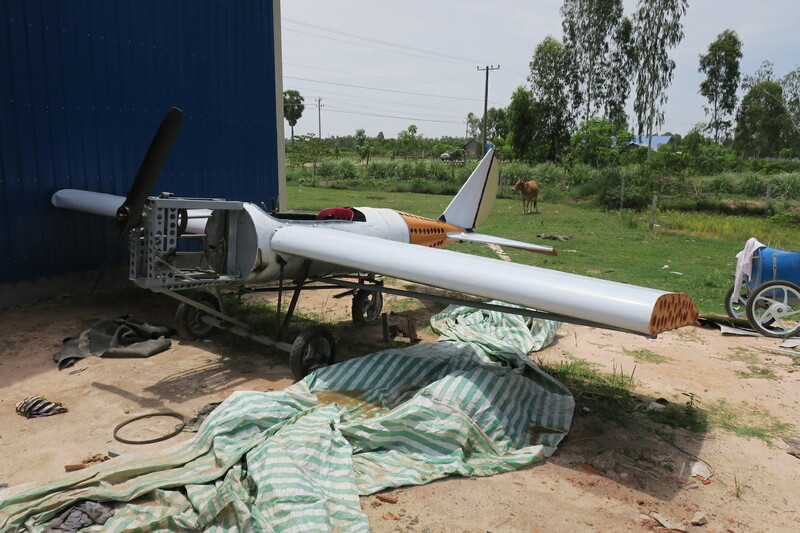 Reporters visiting Cambodia’s border towns last week found the military playing middleman in the illicit trade—and taking a piece of the action in the process. In Snuol, the motorbikes passing through town are not headed for the border itself. Before reaching the gate, they peel off onto dirt tracks on the left or right, making for back roads and fields where the illegal timber trade with Vietnam occurs just out of sight from the main road. 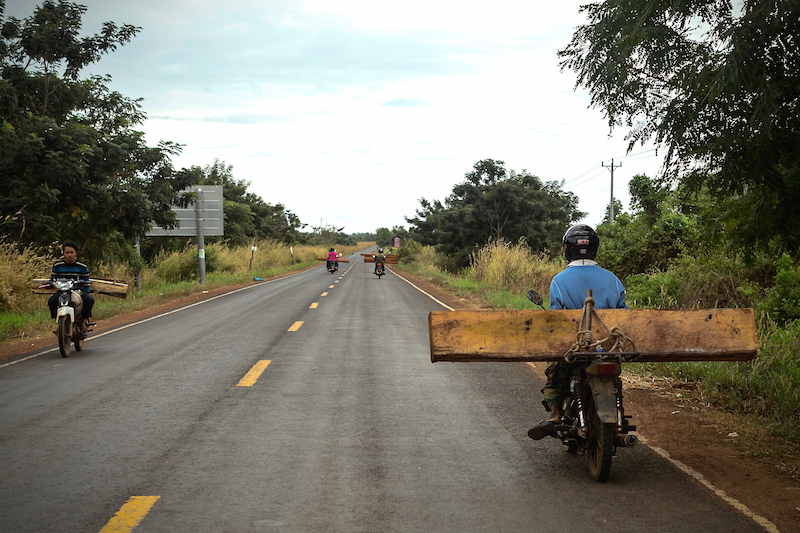 Hardly a half-hour goes by without a few motorbikes sailing down the road with chunks of high-grade timber strapped to their back seats, some the size of an ice chest, others as long as a bed, balanced carefully in the middle like seesaws. One black-market timber yard sits a half-dozen kilometers from the border, a few hundred meters off the main road along a dirt track that quickly turns from bad to worse. There, in an unmarked field, reporters saw hundreds of logs stacked in messy piles. More than a dozen men milled about waiting to make a sale. 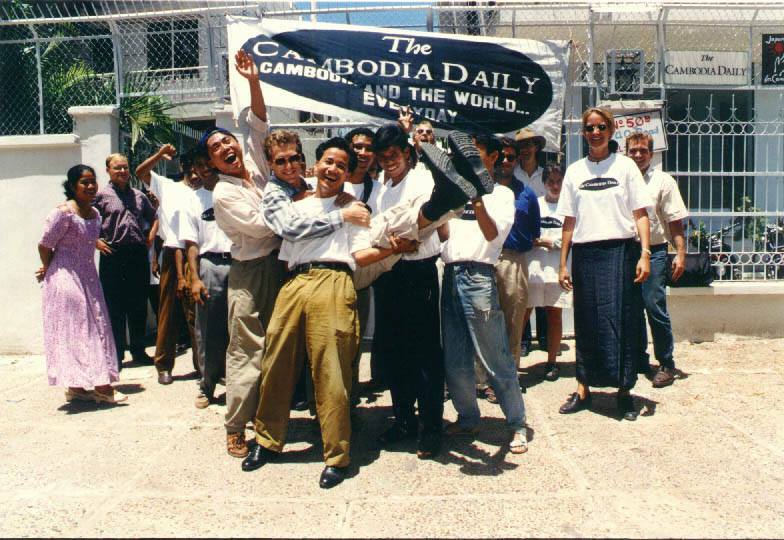 With them were some soldiers, part of the Royal Cambodian Armed Forces (RCAF) Border Unit 204. “We buy the wood and the Vietnamese come, and the Vietnamese take it to Vietnam,” said one of the soldiers, who declined to give his name or rank. The logging of rare tree species has been against the law since at least 2002, the export of their logs since 1996. The government banned the export of all timber to Vietnam outright, with the exception of finished products, in January. The soldier, upset that foreigners had seen the timber yard, quickly stopped talking. Two other soldiers demanded that the reporters stop taking photos and delete any they had taken. They said the reporters were trespassing on military property and then refused to let them drive away, physically restraining one of their motorbike-taxi drivers. They called their boss, who soon arrived in uniform in a Lexus SUV, a fat diamond-studded ring on his left hand. Sok, who also declined to give his rank or his full name, said he was in command of the area and threatened to have the reporters arrested. “I can arrest all of you, no matter who you are, because you entered my military base,” he said. His so-called base was completely unmarked; no wall, no fence, no sign, not so much as a guard post. Sok explained that the base was very new. But the commander went on to confirm parts of what the other soldier had said. The base was not the only timber yard in the area doing illegal business with Vietnam. Vuth Tha, a young man with a heavy piece of luxury-grade Thnong timber strapped to the back of his motorbike, had stopped last week on the side of the main road with about a half-dozen companions similarly loaded, taking a quick break before their final sprint. 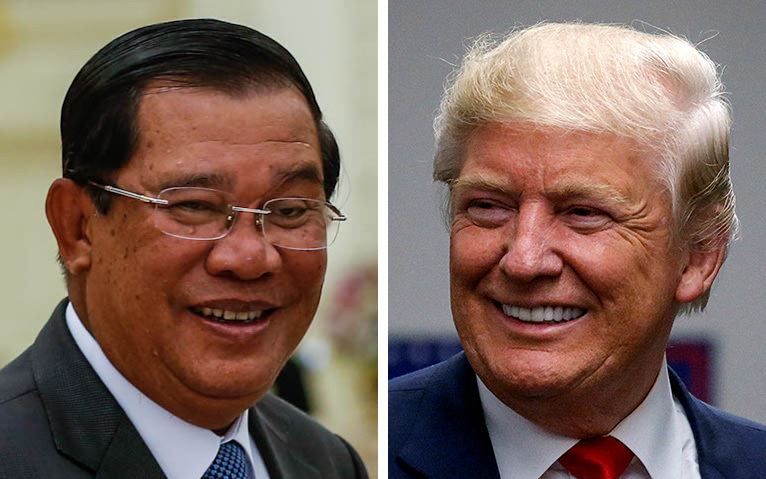 He said they were headed for a nearby timber yard just behind the Heng Heng Casino—one of two within sight of Tumpeang Sre, the border gate at the end of the road—a few hundred meters from Vietnam. “People come from Vietnam to buy the wood and they take it back [to Vietnam],” he said. Prized for its deep red grain, Thnong is one of the rarest and most expensive tree species in Cambodia, worth tens of thousands of dollars per cubic meter in China, where much of the timber that Vietnam imports ends up. In a 2014 report, “Routes of Extinction,” the U.K.’s Environmental Investigation Agency said timber poachers feeding China’s furniture market had brought the most prized local species of all, Kra Nhung, or Siamese Rosewood, to the edge of extinction across the Mekong region. It warned that replacement species such as Thnong were headed the same way. Conservation groups blame the selective and often illegal poaching of such trees for helping open up protected areas to more widespread logging in Cambodia, which has experienced one of the highest rates of forest loss in the world over the past decade and a half. Mr. Tha said he’d spent three days digging a Thnong tree stump out of the ground on his nearby farm to get his log. One of his companions said he bought his Thnong log for $25 from “someone in a forest” in Mondolkiri province, about an hour’s drive to the east, and was hoping to sell it behind the casino to a Vietnamese buyer for $50. He said his profit would be minus the $2.50 he paid to bribe police at a checkpoint to get here. Local and national officials declined to discuss the timber trafficking along the border or largely denied it was happening. Deputy district governor Sam Nal said he knew that “some soldiers” in the area had been buying and selling logs in the past, but thought they had quit since the provincial governor ordered a crackdown on the timber trade early this year. He said he would tell the district governor about the base by the border and let him decide whether to investigate. As for the steady stream of timber flowing through his district in broad daylight, Mr. Nal downplayed the scale of the problem. Meas Sopheap, the commander of the military’s 204 Border Unit, hung up on a reporter when asked about his unit’s role in the timber trade with Vietnam. The head of the province’s military headquarters, Brigadier General Nay Toeung Loeng, said he had no idea that soldiers were trading timber. “I think this information is not true because the economic police and military police are working to stop forest crime everywhere and they will crack down on any soldiers in the timber business,” he said before hanging up. Brigadier General San Bunthan, the province’s military police commander, said he knew nothing about it and also hung up. Brigadier General Eng Hy, the voice of the government’s latest crackdown on timber trafficking as spokesman for the National Military Police, said he did not believe what the reporters had seen, either. Since the crackdown started, the task force says it has seized more than 70,000 cubic meters of unlicensed wood, finding most of it inside the plantations and sawmills of wealthy businessmen. It has sent dozens of cases to provincial courts across the east, but after several months, not one of them has been charged, fueling speculation among conservation groups that the crackdown was meant more to settle individual turf wars than actually apply the law. The task force has not netted a single soldier, police officer or government official, and the seized timber has since been sold off to other wealthy businessmen. In the past, the government has brushed off reports of soldiers and military police caught trafficking timber as the work of a few bad apples. But the military’s history in the country’s timber trade is long and deep, and no group has done more to expose it than Global Witness, an NGO based in the U.K. that investigates the abuse of natural resources around the world. “It is sadly not surprising that Cambodian soldiers continue to be involved in the illegal logging trade, as they have been for many years,” said Alice Harrison, a spokeswoman for the group, which has helped chronicle Cambodia’s timber racket for more than a decade. Last year, Global Witness released “Taking a Cut,” a damning report—hard copies were promptly seized by the government—detailing a network of state institutions and top security officials greasing a thriving illegal logging trade in the Phnom Oral Wildlife Sanctuary in western Cambodia. It named a number of military units and ranking officers whose soldiers were seen logging illegally or moving illegally logged timber out of the area, and said the military police—under the command of Gen. Sokha, the head of the new task force—provided them protection down the supply chain. 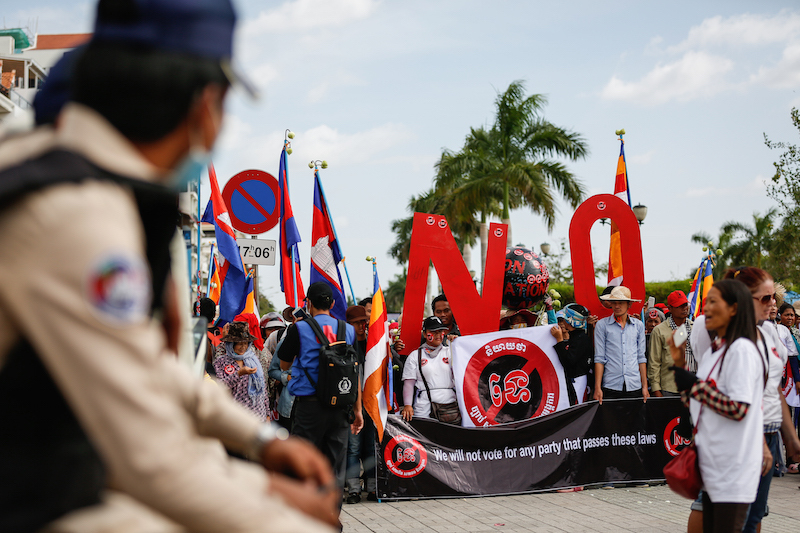 In 2007, the NGO published “Cambodia’s Family Tree,” another report—also seized by the government—accusing several senior officials and their kin of operating a vast illegal logging syndicate. It called the army’s Brigade 70 a “nationwide timber trafficking service” moving ill-gotten logs across the country. In last year’s “The Cost of Luxury,” Global Witness accused a Brigade 70 major general of working hand-in-hand with oknha and timber magnate Try Pheap to loot protected forests in the country’s northeast. Those figures come from Vietnam’s own customs authorities, and they say the scene in Snoul is being played out along much of the border. The figures, obtained and shared by the U.S. advocacy group Forest Trends, suggests that Cambodia’s timber export ban has made for less of a wall than a sieve, slowing down the traffic but hardly wiping it out. They show that 175,000 cubic meters of logs and— mostly—sawn wood worth a combined $122 million made it into Vietnam between January and September. At this rate, Cambodia’s timber exports this year to Vietnam are set to top its exports in 2014. The exports briefly ballooned last year to nearly 590,000 cubic meters thanks to recent logging and trade restrictions in Burma, Laos and Thailand, making Cambodia Vietnam’s No. 1 timber supplier by value for the first time in recent years. In an email this week, Forest Trends program manager Naomi Basik said the figures came straight from the Vietnamese government. “We have every reason to believe that these data are accurate and that the system by which they are collected and shared are sound,” she said. Ms. Basik added that the gap between Vietnam’s timber import figures and Cambodia’s export figures as reported to the U.N. in recent years were “very large—too large to be attributed to simple fluctuations in exchange rates, differences in customs classifications or conversion factors” including, for example, switching measurements from weight to volume. Vietnam’s customs figures also show that the exports still include sizable volumes of high-grade timber, and that most of the wood is crossing at official border gates, including Tumpeang Sre in Snuol. Almost as ubiquitous as the motorbikes passing through the district and stacked with timber are the vans, packed to the hilt with logs jutting out their backs, invariably hollowed out of all but the front seats to get the most out of every load and caked in dirt from their forays into the forest. One afternoon last week, reporters watched a three-piece convoy head west from Snoul into Tbong Khmum province, where it passed Memot town and turned down a dirt road toward the Daun Roath border gate. There, on a side track of the tiny border town, a stone’s throw from the gate, they unloaded in front of a few homes before starting the trip back. A villager said the timber-laden trucks that used to rumble through to the border gate have vanished since the export ban was imposed in January. She said the packed vans, like this afternoon’s, show up less now but still make regular deliveries. As in Snuol, local officials were in denial. The deputy director of the province’s economic crimes bureau, Phorn Sokpoeu, denied that vans were still moving high-grade timber to local border gates. “We have never seen vehicles transporting luxury wood to the border because we have received strict orders from the provincial governor to stop the export of timber to Vietnam,” he said. Mr. Sokpoeu said he had heard that some villagers along the border were still moving some luxury timber into Vietnam, but had no idea where they were doing it. “We will stop and arrest them if we see them crossing the border,” he said. Sambath, who plies the national highway between Kratie and Tbong Khmum in his share taxi almost daily, and also asked that his full name not be used for fear of authorities, said the packed vans were a regular sight. Police manning the checkpoints in Snuol last week made no effort to block them.